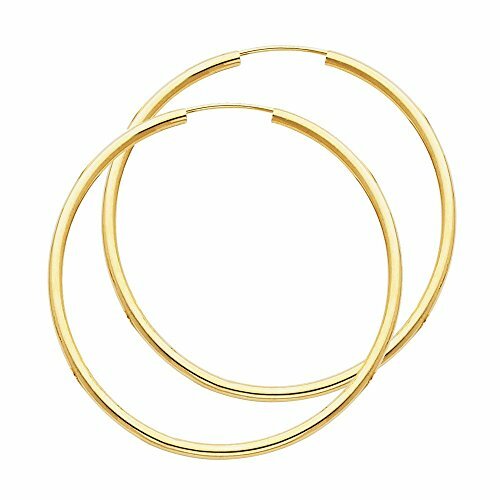 Simple is sometimes the best, as in these endless Hoops Earrings. These LARGE earrings are crafted in smooth and shiny 14K yellow gold. The hoops are 45 mm in diameter and 2 mm wide for a dazzling look. They are designed as a simple accessory that goes well with everything as they are easily put on and off thanks to the endless hoop clasp. If you have any questions about this product by Precious Stars, contact us by completing and submitting the form below. If you are looking for a specif part number, please include it with your message.